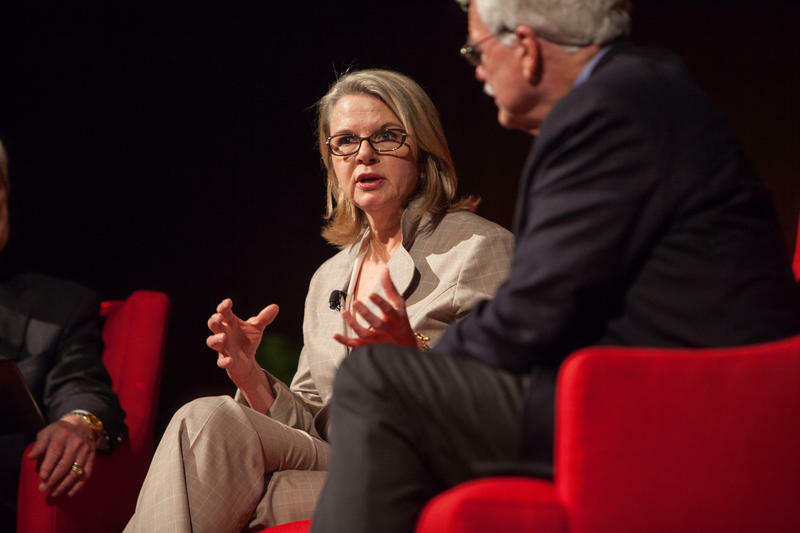 Protesters called for Margaret Spellings' removal and for more funding of historically black universities. 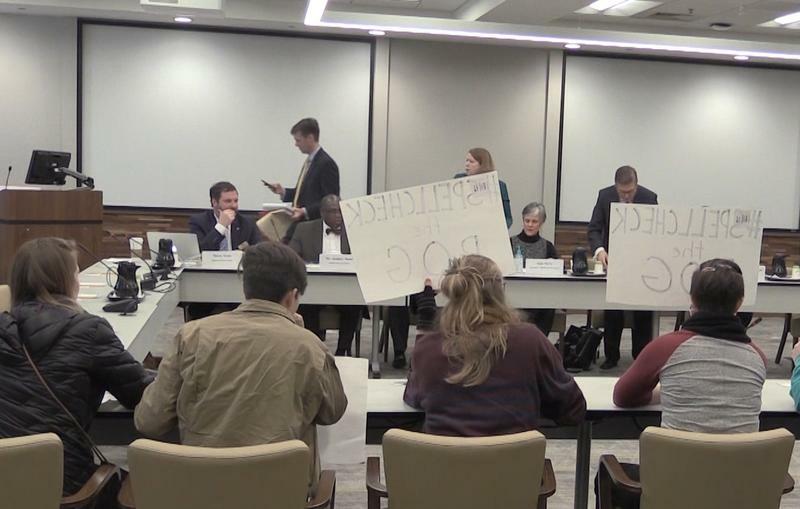 Protesters take over board members' seats at the UNC Board of Governors meeting in Chapel Hill. 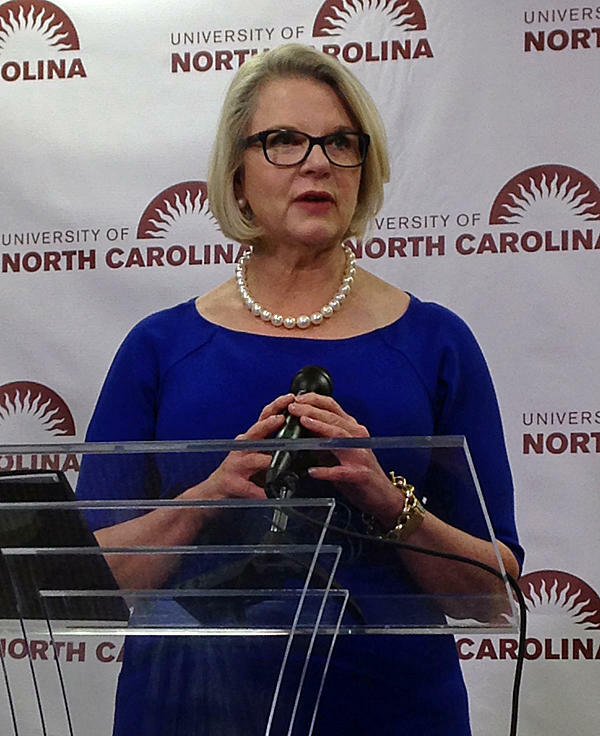 "The cops are not there to protect us, the cops are there to protect this corporate, pseudo educational structure that Margaret Spellings is building with the Board of Governors," Mitch Xia, a sophomore at the University of North Carolina at Chapel Hill, said. On March 1, Spellings replaces Tom Ross as system president. In the past year, protestors have regularly demonstrated at board meetings. 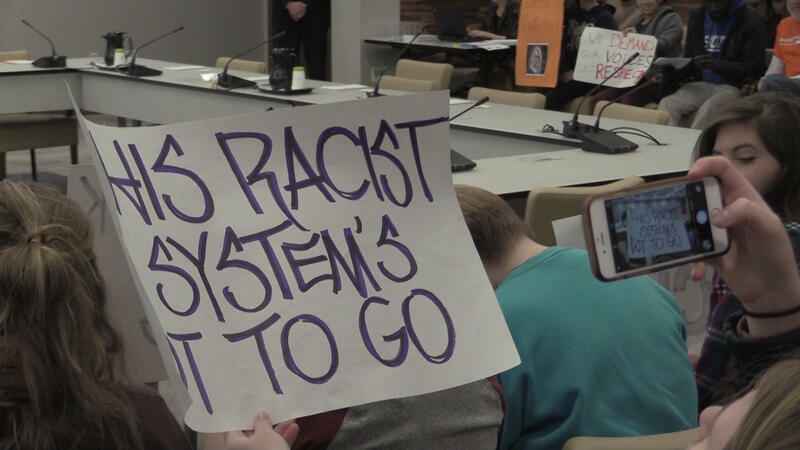 In December, a group of about 100 people interrupted a board meeting protesting the hiring of Spellings.